For a complete overview and to see screenshots of the new features, visit: “What’s new in Linux Mint 9 Fluxbox“. To upgrade from Linux Mint 9 Fluxbox RC, simply apply any level 1 and 2 updates (if any) available in the Update Manager. 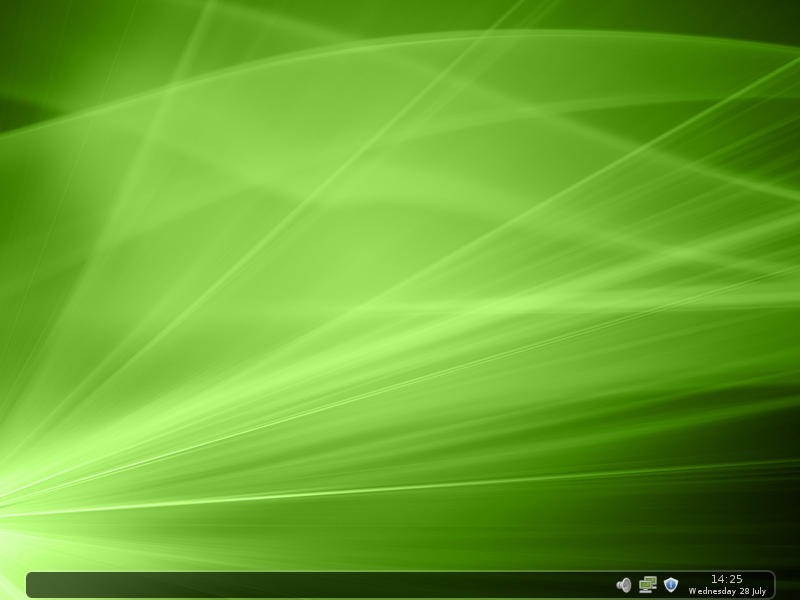 Next Next post: Linux Mint Debian (201009) released! I’m not a follower of the Fluxbox look & feel, but it fits perfectly in quite old machines. Looks great!! Congratulations to the development team. it says “based on lubuntu with 3 years support ” not so …….. lubuntu is not a 3 year support version . Mint is top of my list for operating systems. Looking forward to give Mint Fluxbox a drive. Awesome, i have been waiting for this release. Linux Mint Always thumb up. I really appreciate your efforts, I used blackbox in windows and now I’m moving definitively to Linux with this distro. I followed Mint since the 5th release and now is better than ever. Congrats! The easier GNU/Linux OS I know today: congratulations for all the team! Nice to see this release. I have Linux Mint 8 Fluxbox running on a 450 MHz. Pentium II with 192 MB RAM. It’s a little bit on the slow slide (what else would you expect on an 11 year old computer?) …but…it works!!! great! but serious mic input issue. same as in LXDE and XFCE. what’s the status on these. I hate to spoil the show, but I made several downloads on different machines and I tried the different cds on several machines – and each time get warnings from both RKHUNTER and CHKROOTKIT. Not being sure where to submit this, here is a short extract of the ‘warnings’ part of the logs. Please, do not hesitate to email me for more details. [00:16:36] No output from the ‘lsattr’ command – all file immutable-bit checks will be skipped. Checking z2'... user mint deleted or never logged from lastlog! So, maybe this is important, I hope not. I prefer letting you judge by yourself — I am not skilled enough for that. Please, do not hesitate to email me. If you would actually read all that output you would find out thereţs absolutely nothing wrong. It’s OK that people are focused on security and they get specialized applications but the same people should understand it would be better if they would learn how to use the software and what to do with the scan results. So you hate to spoil the show but you don’t care too much about details before writing in here. Please think about this. Can anyone please tell me whether I will be able to use it with Windows xp in dual boot? I tried Ubuntu 10.04 using Wubi. Is linux mint has this kind of support too? Hmm will there be a 64 bit version as well? Anyway, I am not focused on security. I just checked – as anyone should do – the basics before deciding whether or not it is ok to install and use the system on my netbook – as I will be connected to internet for the first time with a Linux system. You can call me a newbee – for I am and not ashamed of it. You must realize that not everybody is a superskilled genius who knows everything! Some people have to learn before they know things! And sometimes they make mistakes but is it not that way that you learn? Ok, maybe all this fuss may have been for nothing, but better a false alarm no? After all LKMs are tricky aren’t they! (Yes I searched a little bit before posting… that is why I did) But was it necessary to be so agressive!!! One who knows so much would have better briefly explained why all this represents no threats. Don’t One think? Just upgraded to Mint 9 from Mint 5 and… what a difference! 😀 Linux Mint has been easy to use, stable, and beautiful to look at. So I wanted to say thank you for a really good work (I also donated some money to keep the project alive ;-). Again: thank you very much. Tried today and it is amazing.everything works out of the box. simple and elegant. i am changing from ubuntu to mint from today.looking forward for future versions. i love it. congratulations.